Is it really worthwhile to spent more money on locally grown organic fruits and vegetables than non-organic fruits and vegetables? The answer is a resounding “YES!”Organic grown foods have significantly more vitamins, antioxidants and secondary metabolites such as phenolic compounds than non-organic foods. These compounds provide protective health benefits and lower the risk of cancer, cardiovascular disease, type two diabetes, hypertension and many other chronic health conditions (Romagnolo & Selmin, 2017; Wilson et al., 2017; Oliveira et al., 2013; Surh & Na, 2008). We are what we eat–we can pay for it now and optimize our health or pay more later when our health has been compromised. Change in vitamins and minerals from 1950 to 1999; Davis, D. R., Epp, M. D., & Riordan, H. D. (2004). Changes in USDA food composition data for 43 garden crops, 1950 to 1999. 3, Organic foods reduce exposure to harmful neurotoxic and carcinogenic pesticide and herbicides residues. Even though, the United States Department of Agriculture (USDA) and the United States Environmental Protection Agency (EPA) state that pesticide residues left in or on food are safe and non-toxic and have no health consequences, I have my doubts! Human beings accumulate pesticides just like tuna fish accumulates mercury–frequent ingesting of very low levels of pesticide and herbicide residue may result in long term harmful effects and these long term risks have not been assessed. Most pesticides are toxic chemicals and were developed to kill agricultural pests — living organisms. Remember human beings are living organisms. The actual risk for chronic low level exposure is probably unknown; since, the EPA pesticide residue limits are the result of a political compromise between scientific findings and lobbying from agricultural and chemical industries (Portney, 1992). 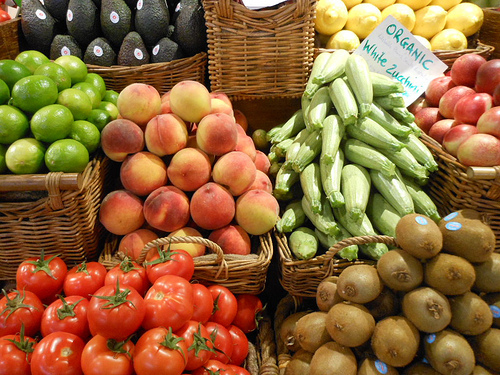 Organic diets expose consumers to fewer pesticides associated with human disease (Forman et al, 2012). Surh, Y.J., Na, H.K. (2008). NF-ÎºB and Nrf2 as prime molecular targets for chemoprevention and cytoprotection with anti-inflammatory and antioxidant phytochemicals. Genes & Nut2: 313–317.